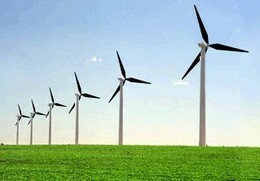 Is the method of construction of wind turbines more known in the world. He contributed to the popularity of wind turbines, even in remote places. Most of the turbines built by hand in the world is following this model. 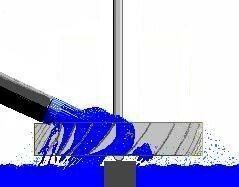 As demonstrated and widely publicized, is attractive to those who want to build a wind turbine. This model has several phases, some of them involve a lot of work with the production of molds, welding parts, construction of the blades, adhesive magnets, court records, preparation and placement of coils in the stator etc. Each of these phases of the method of Hugh Piggott, is documented in the literature and is abundant in many places, including in the creator. There are many videos on YouTube about it. Select a, Pedro Bernardo, that looks good to illustrate the various stages of construction of such wind turbines. Here is the link to the website and the YouTube channel of Hugh. The model uses two-disk rotor with magnets, with alternating polarity on each disk and create among them a powerful magnetic field of attraction, since the magnets are face to face with opposite polarity. In the midst of this field is the stator in which the electromagnetic induction. You can use a single disk and generates electricity, but two more, because the magnetic field is stronger and the two discs with magnets induce currents in the same direction, though they have opposite polarities, because they are in opposite positions. To put it another way, if faced with two disc magnets induce current in a coil in the direction of clockwise, the two magnets that are on another disk, magnetic attraction, has the opposite polarity to the front of disk, and then will induce the current in the reverse direction to clockwise, but as is the other side will induce the same effect. See also an interesting document here (See here). Despite the undoubted qualities of Hugh Piggott model, I think, like the whole team can be improved, gained much improved aerodynamics. The aerodynamic affects, and by far the performance of a wind turbine. This is an issue that I intend to address in the future.